CRM software solutions comes in many shapes and sizes, they all have basically a similar goal – to enable you to gather, sort out and understand key information about existing and prospect clients so you can accomplish more, and better business relationships with them. Moreover it’s not just a means of storing contact details, Customer Relationship Management software is an effective tool that empowers even the smallest business to knock out big industry players by finding new leads, following up prospects and giving a better customer service. These significant benefits are of no use if you fail to select the best CRM software for your business. The first and most foremost step in choosing a right CRM is to know your requirements at the start. 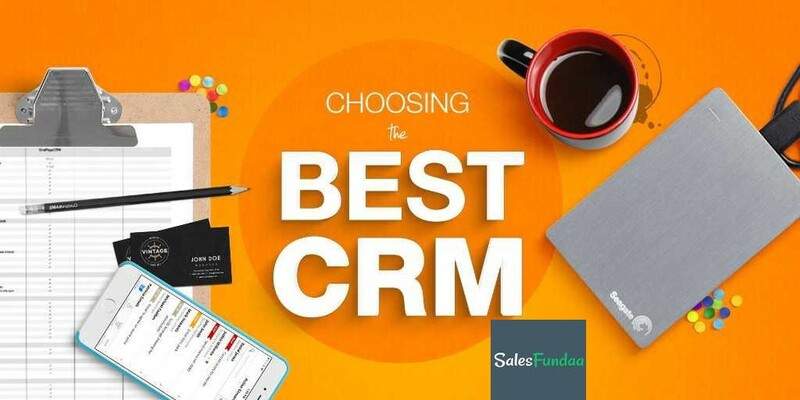 This will help you to choose if the CRM software that you are looking for actually has the all the functionality you need. Inability to set out your needs and requirements can mean you may end up with an under-performing CRM system having unnecessary features which will be a burden rather than a boon for your business. Thus, for instance, if a specific CRM system doesn't enable you to categorize your database by personal preferences, demographics, interests, or other relevant criteria, you won't be able to segment clients for advertising purposes or get the detailed knowledge you need to target them more effectively. 8. Free trial – Try before you buy. For a detailed and in-depth information get in touch with our CRM expert.